It’s time for another comparison swatch! 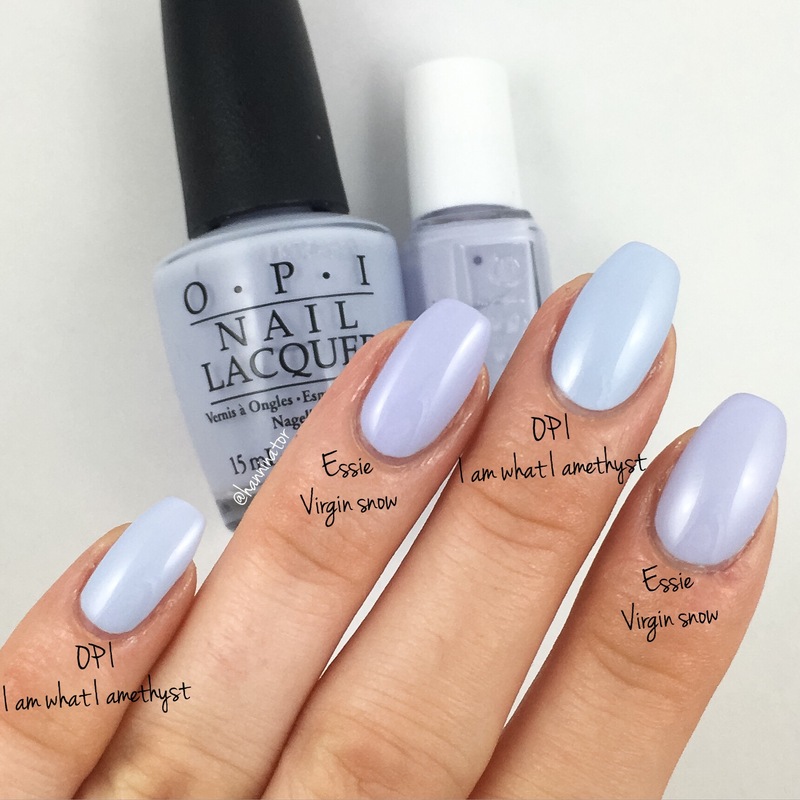 This time I’m showing you OPI’s I am what I amethyst, from this years Soft shades collection, and Essie’s Virgin snow, from last years winter collection. Here you see two coats of each polish on my nails. Both polishes are pretty similar in the formula. On it’s own I am what I amethyst looks purple, but compared to Virgin snow it looks more blue. Pretty similar polishes, but not dupes as you see in the pictures. Båda är ju riktigt snygga, men tycker nog ändå att Essies är strået vassare! I prefer I am what I ameytyst. Wow I am stunned. 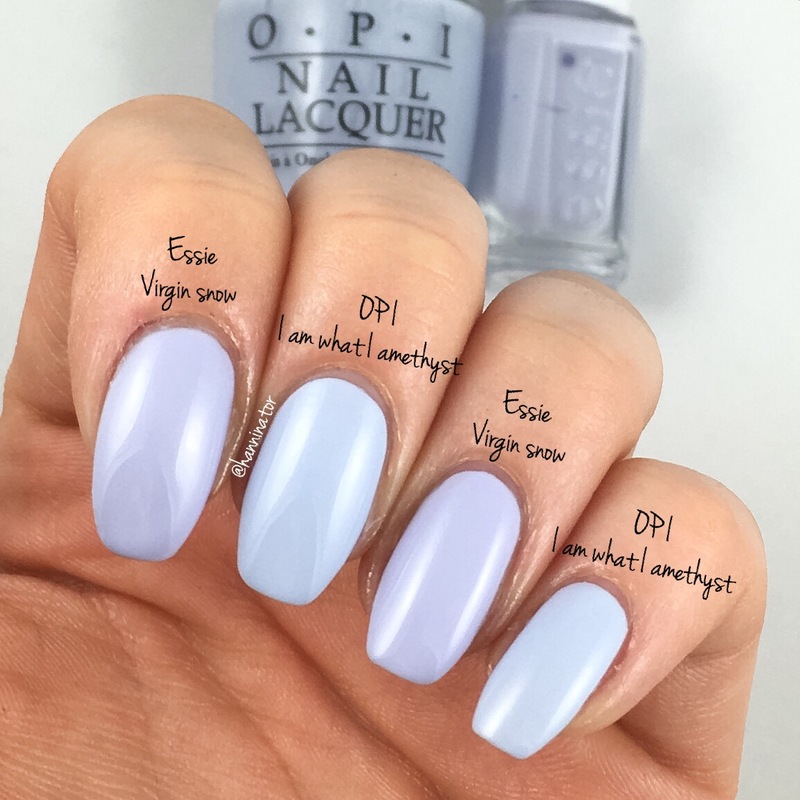 I actually thought the Opi Polish would be the more purple one. You seem to be the only one who has shown that comparison so far. Thank u!! !